Jaroslav Holub is a senior engineer at Container Solutions. 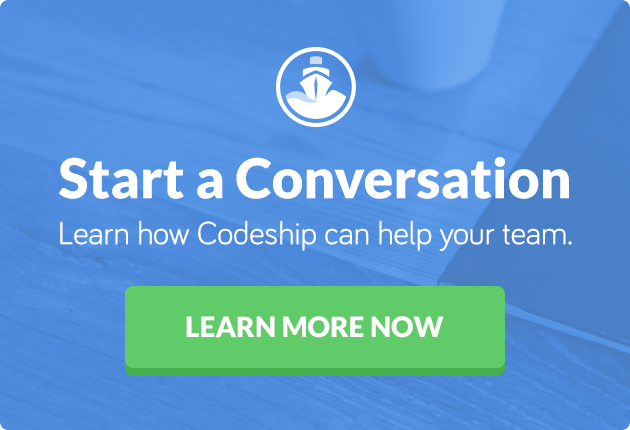 Update: If you are interested in Docker support from Codeship, please click here. Now one might think that we would build our web server executable file using build tools installed on the host dedicated to continuous integration and then somehow copy the binary to the Docker image. But this is a no-no in the containerized world. Let’s do it all in containers. That way, we won’t rely on any build tools installed on hosts, and it’ll make the whole setup easily reproducible and encapsulated. Some people use tricks to create, manipulate, and remove unwanted stuff in a single RUN command. Although it’s sometimes handy, I can’t generally recommend it; in my opinion this adds to Dockerfile complexity. Of course, there are situations where you might want to retain your sources and all in the end artifact. The approach I recommend, however, is to create separate “build” and “distribution” Dockerfiles. 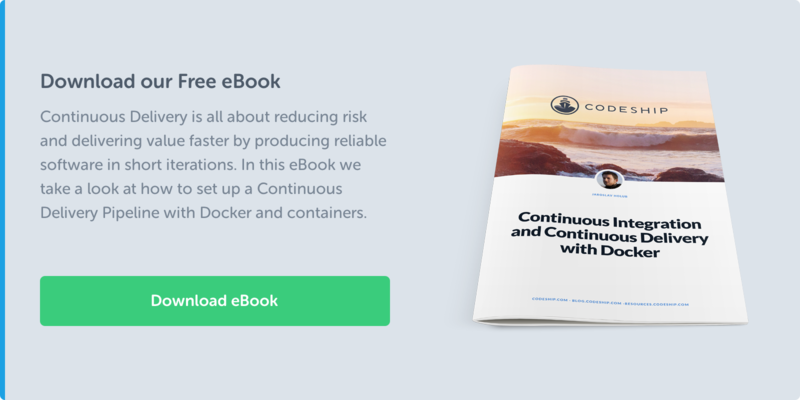 Use Dockerfile.build to do the heavy lifting during building the software, and use Dockerfile.dist to create the distributable Docker image, as light and clean as possible. The following is Dockerfile.build. As you can see, once we run the build file, we create the container from a golang image, compile our example service, and output the binary. docker build -t hello-world -f Dockerfile.dist .